The entire process, from setup to authentication, is snappy. To set up Touch ID, Apple requires users to scan their finger multiple times, in a variety of positions and grips, to log an accurate image of a provisioned digit. Users have to repeat this process of lifting and touching down on the Touch ID sensor to enter additional authenticated fingers. By comparison, all Face ID needs is two quick facial scans and you’re done. The procedure requires users move their head in a circle so the TrueDepth camera can capture and model their face from different angles. This process is performed twice for accuracy. 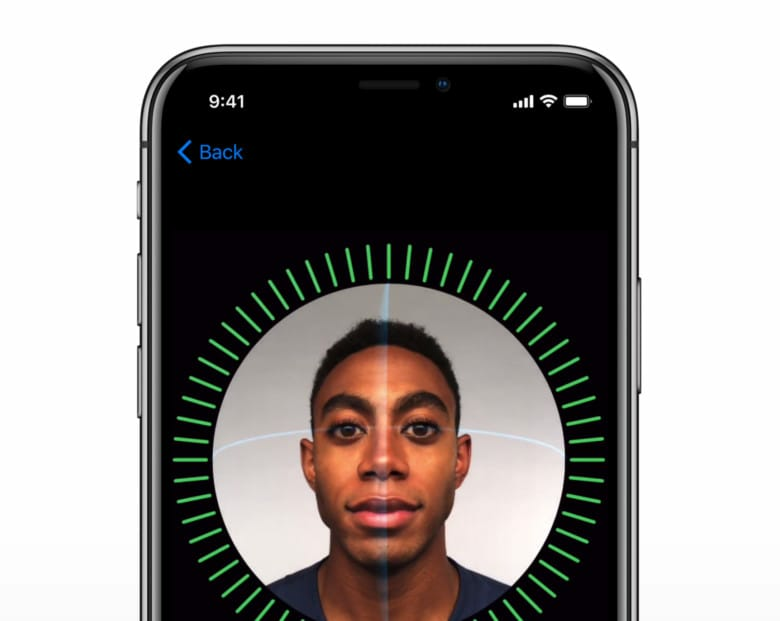 Face ID’s speed is more apparent in real-world use. The system unlocks iPhone X in about the time it takes to raise the device from a table up to a comfortable position in front of our face. From there, a simple swipe up from the gesture bar delivers us to the home screen. Unscientific testing suggests Face ID performs on par with Touch ID in terms of raw speed. While it was difficult to perform both unlock gestures at the same time — press and hold for Touch ID in one hand, raise, gaze and swipe for Face ID in another — both appeared to reach the home screen at the same time. It should be noted that iPhone X actually unlocks before the lock/unlock animation completes. More importantly, using Face ID is a seamless experience. Users can even swipe up to reach the home screen as Face ID is processing. Apple iPhone and iPad owners have over the past few years trained themselves to use the built-in fingerprint sensor. For many, laying a finger on the home button is instinctive. With Face ID, there is no physical prerequisite to entry aside from looking at iPhone, an action performed naturally when using a portable device. As seen above, Face ID authentication will be a boon not only for banal device unlocking, but also for Apple Pay and third-party apps. Face ID is also flexible. Gaze detection, essential for secure recognition, does not necessitate the phone be located directly in front of a user’s face. While the system does not operate at extreme angles, likely a security provision, iPhone X does recognize users when held slightly askew. It also works when rotated, for example when iPhone X is held in landscape mode.